Wi-Fi is available in each building. You can internet anywhere and for free. It’s all fairly straightforward. Meeuwenveen recently purchased a genuine Roland FP-80 stage piano. For safety’s sake it’s kept in a flight case, but for genuine music-lovers, we are always willing to give it an airing. It has its own speakers, but it’s also possible to connect it directly to the stereo system. It’s a truly remarkable instrument. 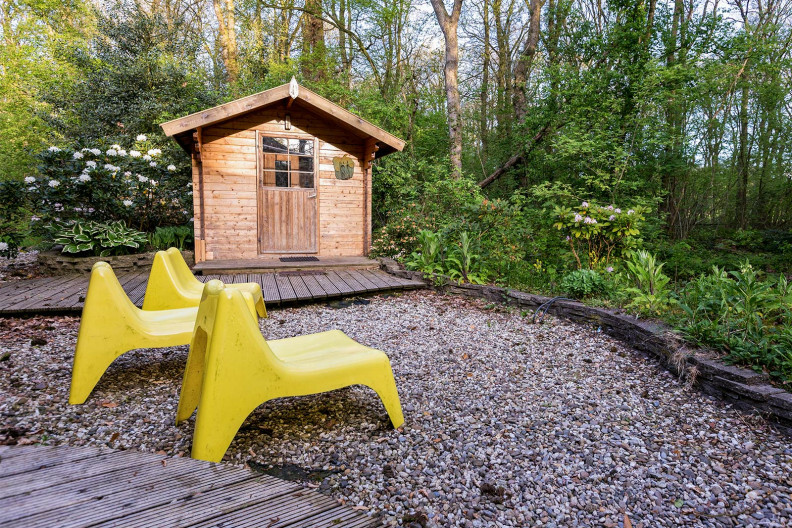 There is an original Finnish outdoor sauna situated in a secluded spot behind Building 3. Generally, its use is restricted to this house alone, however, if it isn’t rented out, then the other groups are free to enjoy it. There are three sauna-beds, so with six people using the sauna, it still feels spacious. It costs €20 per hour, but for the warm-up time, of approximately 1 hour, there is no charge. To cool down there is always the cold water hose. The sauna situated behind Building 3. 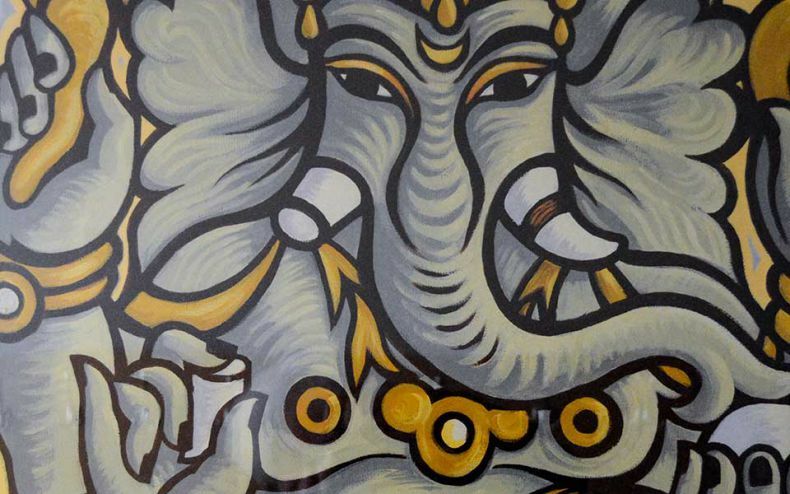 Painting "Ganesh" Main hall, Building 2.